Today is the second anniversary of the death of Eric Leggett, who was struck down by the scarlet fever whilst on active service in France. 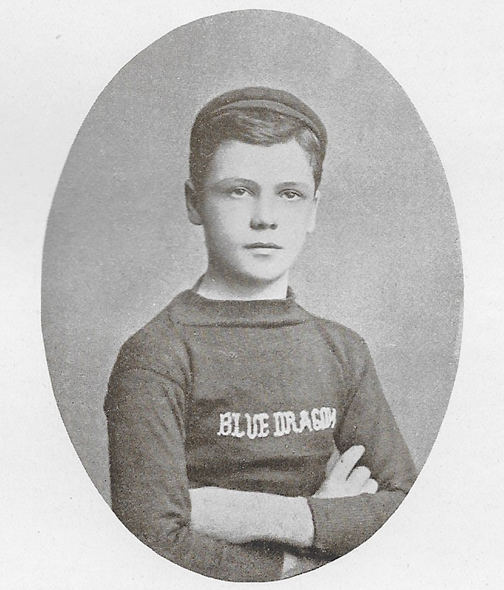 I have the fondest of memories of Eric, who was the first young Dragon to fulfil the role of cabin boy (KB) on my boat the ‘Blue Dragon’ in 1892. 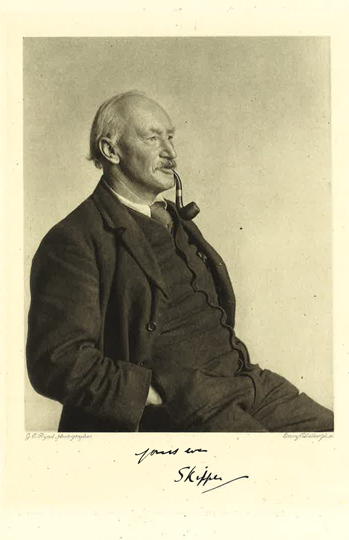 He wrote the Log of 1894, when he sailed with us from Portree on Skye to Eigg, Tobermoray, Oban, Fort William, round Mull to Iona and Staffa, and on to Plockton. Eric joined the Royal Artillery in 1899, after which his military career took him to foreign parts, which explains the references to India and Mandalay in the poem below. It was written by Frank Sidgwick, when ‘The Log of the Blue Dragon’ was published in 1907. There in India's sunny clime? Though we ship a new K.B. Can you hear your shipmates speak? Come you back to Oban Bay"? A third Leggett brother has died – barely two weeks after his older brother, Wilfred. Eric perished not in action, but of scarlet fever, whilst serving at the front. He had been taken to the hospital in St. Omer, where he died. No loss has been such a shock to me. Eric was my cabin boy on the ‘Blue Dragon’ on many an adventurous cruise. After he left the OPS, I visited him when he was at Wellington and Woolwich. It was delightful to be taken round by him. Whilst full of fun, there was always a serious and romantic side to his character. 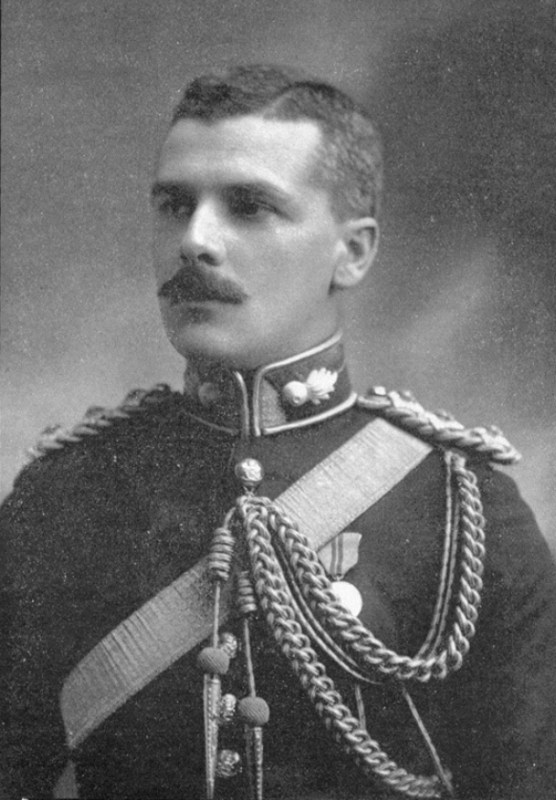 Eric married in 1911 and his son, Hector, born the following year, is down to join the OPS in September 1921. Of the four Leggett brothers, only Lieut. Hugh Leggett survives. Some of our guns were nearly under water and our bomb stores, so we must dig new emplacements and ammunition recesses. There is very little trench fighting now, it is nearly all artillery (situated a mile or more back) – as you can barely walk about in the thick slimy clay and infantry can’t move at all. Under half a mile an hour (a bit slow for a charge! ), but there is a good deal of mining going on, on both sides. Several have been exploded and the thing is to occupy the empty craters (if they are between the lines) as soon as possible, before the enemy can get there first.